We have multiple AS around this area as you can see from the diagram. 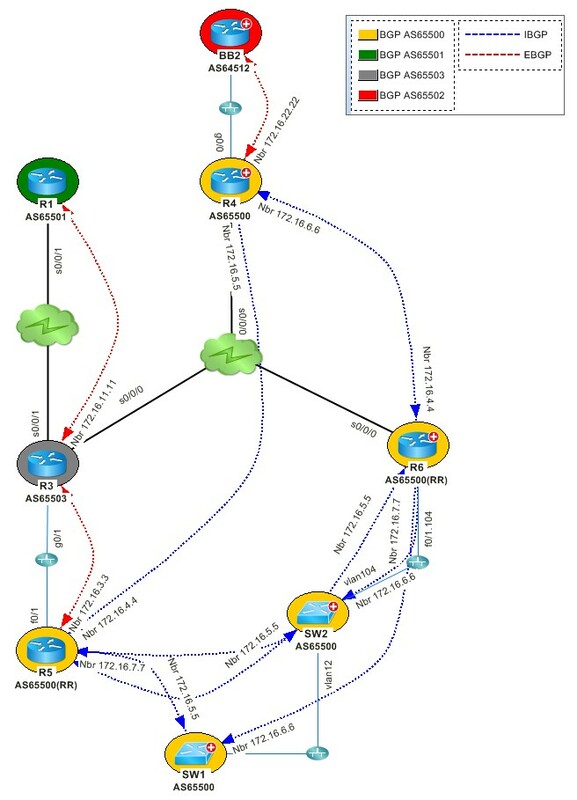 R1 (in AS 65501) is running BGP routing protocol. R1 is supposed to receive some routes originating from BB2 (in AS 64512), but actually none of these routes exist in the routing table. The transit AS between R1 (AS 65501) and BB2 (AS 64512) are AS 65503 and AS 65500. Maybe something along the route is wrong so the routes are blocked?